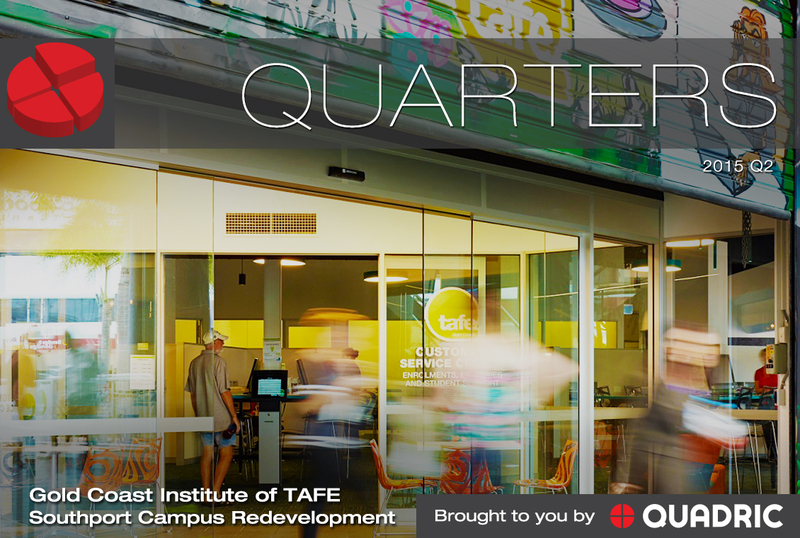 The $7millon state-of-the-art redevelopment of the Gold Coast Institute of TAFE Southport Campus, was undertaken by Quadric over a 6 month period in the latter part of 2014. The project provides infrastructure for the accommodation of a new student hub boosting an industrial design and promoting an educational environment. The fitout delivers an abundance of building design elements bringing structure, joinery and finishes together. A benchmark for innovative design which enhances collaboration between students through peer-study zones and adaptable technology. An innovation in construction is not a straightforward concept as it entails improvement in not only the processes, but also the products, materials and services the industry offers. The challenge is to identify potential opportunities to innovate.